Should you eat grains – or, should you avoid them? Like most things in the world of health, it depends. Both on the grain—and you, which we like to call bioindividuality around here. True be told, throughout the more recent controversy surrounding grain consumption, grains have been an innocent bystander. Mostly because it has nothing to do with the grain, and everything to do with what humans have done to it. Even with the bad press surrounding them, we still love to eat grains. Americans consume on average 11 servings per day, which is well above the United States Department of Agriculture (USDA) recommendation to eat 8 servings a day. But, let’s explore that for a second. Before industrial grain processing was introduced in the 1800s, humans were not able to consume grains in the doses prescribed to us by the USDA. Yet, grain products were placed at the bottom of the Food Guide Pyramid since it was first introduce in 1992. Many assume grains were assigned such prominence because they are packed with the most nutrients. If that’s so, then how did we progress as a human race without the ability to consume grains in such tremendous proportions? Are grains really more nutritious than all the other foods available to us? And, why are people now saying grains are bad to eat? You can feel the curiosity in the air. Lucky for you, in a short amount of time, you’ll know whether you should eat grains or not. Pinky swear. No matter what you eat, it’s painfully clear that chronic diseases have skyrocketed over the last 130 years, and overall health has plummeted. According to the CDC, 70% of the people in the USA are now considered overweight, and almost 50% are obese. In addition, 1 in 3 people suffer from insulin insensitivity, and the percentage of those diagnosed with diabetes each year continues to increase in epidemic proportions. While successfully regressing mortality associated with infectious diseases over the years, we’ve simultaneously progressed ourselves to record high mortality rates caused by chronic disease.2 In fact, 7 out of 10 deaths among Americans are from chronic diseases, and treatment for chronic diseases accounts for 75% of all heath care costs. To figure out if you should eat grains, we first need to know what the heck grain is. A grain is the small, dry, hard seed that is harvest from various types of plants. The grain is the reproductive force of the plant, so it’s got a lot of responsibility, including the life cycle of the plant. Grain in its raw state is toxic to the human digestive track, meaning it has to be processed in some way before we are able to consume it. Before the industrial revolution, our ancestors gathered and carefully prepared grains by soaking, sprouting or fermenting them in order to make the grain and its nutrients digestible. They typically ground them by hand, and combined them with water and cooked it. These grains were always whole grains. Most grain products available to us today are created from processed or refined grain, meaning the grain has been broken down through a high-heat machinery processes in order to make it digestible. The first misconception about grains is that whole grains are the holy grail of human food. In reality, a calorie by calorie comparison shows that grains stack up far behind fruits, vegetables, seafood and meats. The second misconception, which is more popular in the conventional nutrition world, is that the nutrients available or fortified into grain products are actually absorbed in the body. Unfortunately, this just isn’t so. Grains contain concentrated amounts of phytic acid that keep nutrients from being absorbed in the digestive tract. Phytic acid has been shown to bind to minerals like calcium, iron, magnesium and zinc, and turn them into an indigestible complex. This means many of those minerals will be excreted and put right into the potty. To add to this complexity, almost all grain products like breads, cereals, and pasta are “fortified” with synthetic vitamins and minerals. Recent evidence shows that synthetic forms of vitamins aren’t absorbed or assimilated well because nutrients need other nutrients in very specific ratios to be properly digested and absorbed.6 These ratios are found perfectly in nature in whole foods, which can’t be reproduced in a lab. The manufacturers of flaky corn cereal don’t want you to know that, which is why many cereal boxes are adorned with claims of containing “100% nutrition” and the American Heart Association’s “heart seal” of approval. What’s actually in the box is nothing more than highly processed genetically-modified wheat, sugar, corn syrup, and preservatives. And sometimes – vitamins and minerals derived from coal tar. When we eat food, the body has to covert the food we eat into a form that can be used in the body. Carbohydrates are turned into glucose. Fats are broken down into fatty acids. Proteins are broken down into amino acids. When we eat a refined carbohydrates (like bread, cereal, or pasta), this sends a large amount of glucose into the bloodstream. 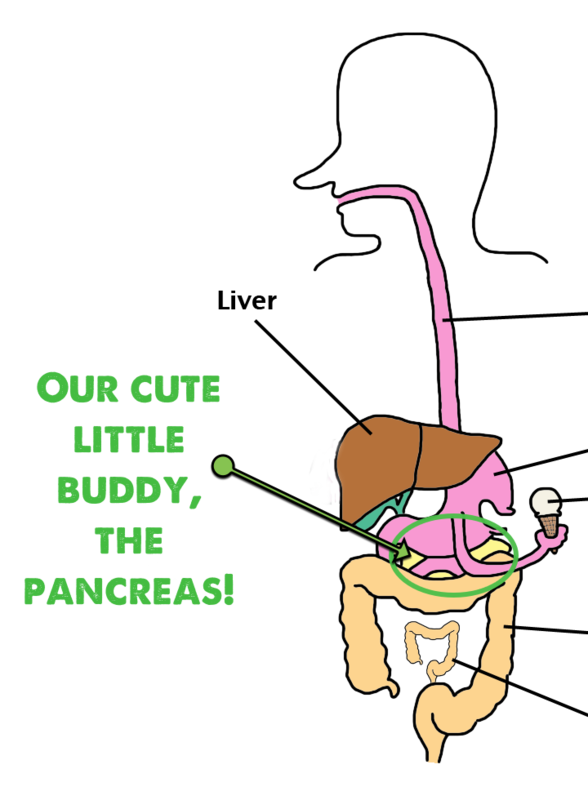 All of the glucose from the food we eat must be stored into cells, so the pancreas (that cute little guy in yellow) sends insulin to take care of it. Insulin is a hormone that takes glucose out of the bloodstream and stores it into muscle, liver and fat cells as energy. Take a deep breath, check your twitter feed, and come back. Almost done. Glucose is very necessary for our body, but if provided in too high of a dose regularly, it can create problems. Overtime, if a person continues to eat refined carbohydrate foods in excess, energy is stored in fat cells, which can cause weight gain, and cells can become less responsive to insulin. Research shows that those with type 2 diabetes, a disease caused by impaired pancreas function and insulin resistance, have a 65% increased risk of developing Alzheimer’s.15 Alzheimer’s is now being referred to as “Type III Diabetes” because the brain basically starves due to brain cells becoming insulin resistant. The second reason grains may not be the best choice for you is because of the anti-nutrients they contain. I’m not sure if you’ve noticed, but plants don’t have arms or feet to help them escape predators. (Except for Mr. Peanut, of course.) Because of this, plants pull out all the stops to make sure its seeds can reproduce and make more babies. When undigested food “leaks” through the gut lining, our immune system launches an attack on it because it sees it as an invader. 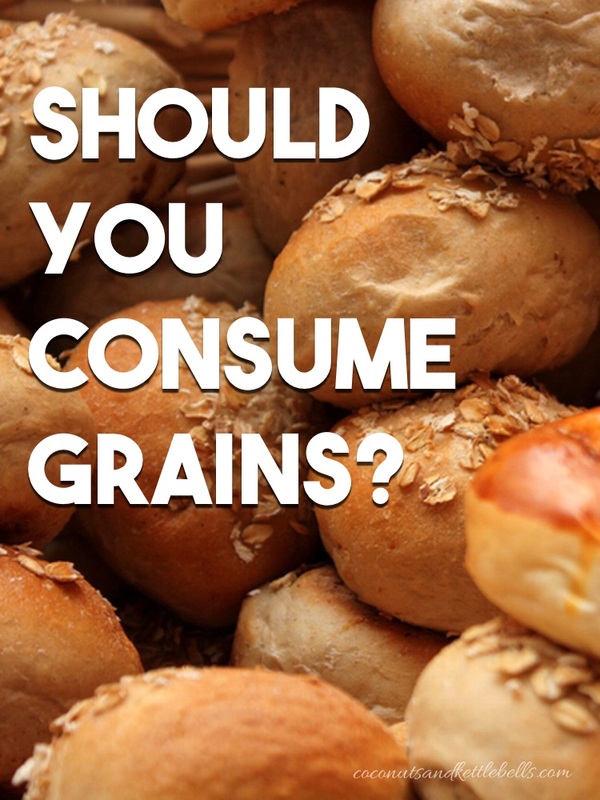 Well, obvs – the answer to “Should you eat grains?” is BIG NO. PEACE grains, nice knowing ya. JK. Dogmatic approaches that shun all grains of all kinds aren’t proven to be necessary for health in the scientific literature. Of course, the removal of grains may improve some disease states, so doing so with the help of your doctor can be incredibly valuable in certain situations. However, when talking about health – everyone has different needs, and therefore there is no one diet for everyone. As a solid takeaway, I do think it’s pretty clear that grains should not be the basis of the human diet, rather a supplement to a well balance, nutrient-dense diet. So, where do you go from here? If you’re new to a real foods lifestyle, I recommend starting by simply adjusting your breakfast so that it includes less refined foods. Eat good sources of fat instead like eggs and vegetables cooked in a saturated fat like coconut oil or grass-fed butter. Then, change your mid-afternoon snack to carrots tossed in olive oil, or an apple with almond butter. Next, adjust your dinner so that you eat less refined foods like bread, and add in real food sources of carbohydrate like potatoes. You can also experiment with properly preparing whole, organic grain at meals. I recommend starting with rice, as it’s super easy to do. Small shifts will make the transition easier on you and your stress levels, which is just as important. I do recommend all people to take out gluten containing grains for 30 days to see how you look, feel and perform without them. Many people who struggle with unresolved issues find relief removing gluten. When your immune system is suppressed and systemic inflammation is in your body at all times, you don’t know what a true, healthy “normal” feels like. After 30 days, reintroduce them, and see how you feel. What will you do from here? 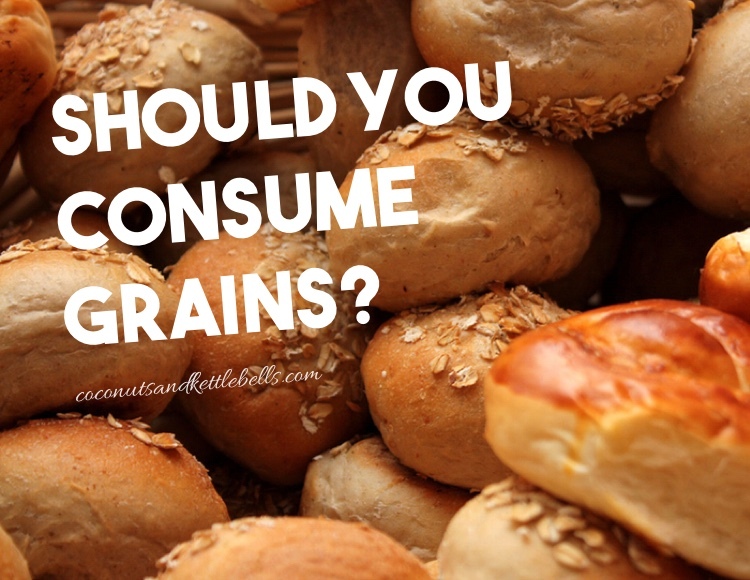 Have you decided if you should eat grains or not? Let me know below! Amazing stuff here. Really eye-opening considering all I’ve ever heard is pretty much wrong! Thank you Rach! 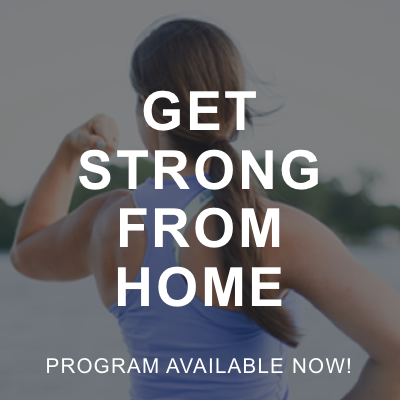 Can’t wait to help people get healthy and live their best life! I like your thinking, Noelle. It’s really hard to not eat grains, even if you grow your own food. My husband just doesn’t feel full without some whole grain in his diet. Keep up the good work. I will be sharing your website. Marcia – I know it’s hard. It does take time and it’s ok if it’s something that happens gradually as you experiment and find new foods to eat. In short – all calories you get from grains should be replaced with calories from fats or protein. 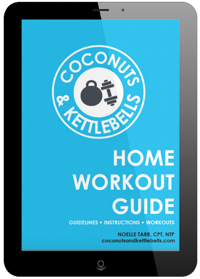 One thing I do see a lot is when people remove grains, they fail to increase their fats or don’t substitute other foods in at all – leaving them in a calorie deficit. Try eating things like eggs, nuts and seeds, and a good portion of healthy grassfed meats, salads with a good amount of olive oil, and veggies cooked in coconut oil throughout the day. You should find that removing food high in grains will stabilize blood sugar and increase satiation. Good luck! Even though I have a university degree in biology, I appreciate your writing style as I can see how concepts related to human molecular biology & digestion could be quite foreign to most people without such a background. Kudos! It gives an excellent (and easy to read) overview of what your article serves as a primer for and Davis includes recipes at the end of the book to boot. I’ve certainly tried and it’s tough not only because grains are EVERYWHERE but it also requires some more creativity and breaking the mold of what we have come to expect our meals to be made up of (e.g. eggs, toast and bacon, etc). Thanks so much! I’m glad you can appreciate it. My goal is to make this easy to understand for beginners and those without degrees in biology. 🙂 I would love to get my hands on Wheat Belly. It’s definitely it the “que” to read. Thanks for the suggestion! Hi Noelle – I would like to know your thoughts on spelt bread, quinoa and millet (all organic). My husband and I eat those on a regular basis, but not everyday. All three of those are gluten free. 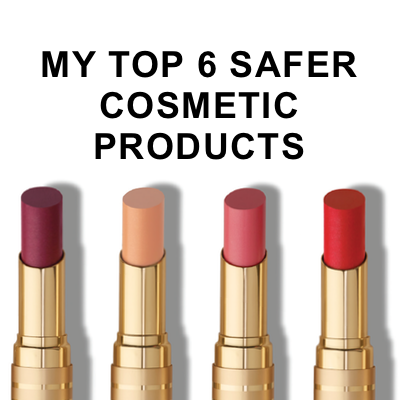 Please let me know what you think about consuming those in a regular daily diet! Hi Natasha! I think those are all suitable grain options within the context of a healthy human diet, however – I would highly recommend getting soaking or sprouting those grains before cooking. Soaking/sprouting helps the grain release its anti-nutrients which will lead to less negative impact on the gut. It also will increase mineral digestion and absorption. Right now, Mr. Coconuts and I eat rice once a week – and we always let it soak before cooking using this easy recipe. Hope that helps! Natasha – Spelt is not gluten free, as it is a type of wheat. I have been grain-, sugar- and starch-free for more than 4 years now (I follow the Specific Carbohydrate Diet) and it has cured my IBS. That feeling of never being quite full is only there for the first couple of weeks as your body adjusts to a state of ketosis, in which it uses protein rather than carbohydrates for energy. After your body adjusts you will not feel like you’re starving anymore and will not have to eat so frequently. In addition to curing my IBS, living without grains and sugar has given me more energy and mental clarity. I highly recommend it! Noelle!! This is one of the best blogs I have found to spell it out!! I’ve recently gone gluten free, (and just to plain, raw foods—eliminating processed/junk foods). I’ve read a lot of the scientific/nutritional articles, which helps me to feel educated and like I’m learning new terminology, but unlike Misha, I don’t have a background in Biology. I appreciate your blog immensely as it spells out what I’ve been absorbing on a whole new level. Thank you! (PS, I’ve also been reading your info on coconut oil and ACV, etc. I’ve been trying the coconut oil method as skin/hair care and using your method resulted in great skin in just one day. Needless to say, I’ll be coming back for more. Thank you for your recommendation and ESPECIALLY for sharing the resources you uses to we can educate ourselves. Steel cut oats (organic)… yay or nay? Trying to come up with a warm breakfast for the kids, and they love their cereal. Hi Colleen! While I’m not typically a huge fan of oats, if you’re kids do OK with grains, and you balance it out with some good fats and like fried eggs, butter, coconut oil, etc – I think that is fine. I highly recommend properly preparing them, however – which would include soaking them overnight in an acid medium. I love your website and everything you have to say! All of it is so encouraging as I work my way through this journey of figuring out what is best for my body 🙂 What is your opinion on organic whole grains and dense wheat bread? I’m a huge bread lover so it’s difficult to let go of even though I went a long time eating strictly Paleo and no bread! I found I would often overeat when I was on the Paleo diet because I thought it meant I could eat absolutely anything I wanted with no control! I also CrossFit 4-5 times per week, work out intensely the other 2-3 days, and work in retail (on my feet walking briskly) so I’ve heard a higher carb diet is good for that type of lifestyle. I’ve been doing a lot of research on what my caloric intake should be and how many carbs/proteins/fats I should be eating, but I’m having trouble figuring it all out. Any advice? I so appreciate you! Hi Maddie! I would recommend making your own bread, and sprouting the grain before you cook with it. 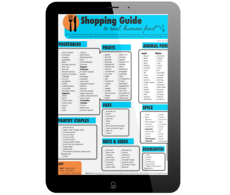 You can also purchase bread that has been made from sprouted grain – like Ezekiel bread. 🙂 As for how much you should be eating, I’m not a big fan of counting macronutrients, or calories. I would rather you work on eating intuitively, and eating how much you think you need based on your hunger levels. Activities, and therefore – energy requirements, change every day. So, I’m a big fan of building a trusting relationship with your body, and feeding it the types of foods you feel you need, as well as the amount of food you’re hungry for. 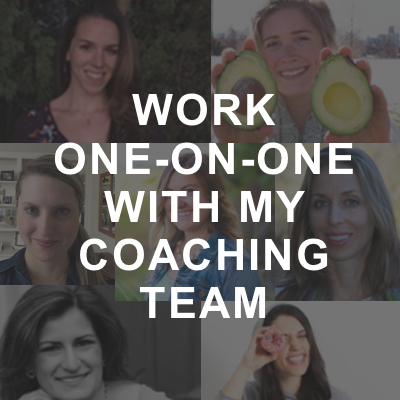 Check out intuitiveeating.com. Hope that helps! I wanted to see what you thought about eating gluten free grains with Celiac/IBS and Hashimotos if they are properly prepared. I always try and go paleo but end up eating a ton of almond and arrowroot flour trying to make up for lost calories and I seem to make my stomach hurt worse. My thyroid seems to plummet every time I get rid of grains not sure if its the lack of carbs or lack of calories. Any advice? Hi Kristin! This is a tough question because what works best for you is totally individual to YOU, and your needs! I do know that the protein in non-gluten grains can still can cause disruption/inflammation for people with Celiac disease. But, this doesn’t mean you can’t experiment. I would first try soaking rice, and adding that to your diet and seeing how you feel. I would absolutely suggest making sure that you still get at least 100 grams of carbohydrates per day. You can do this with starchy carbohydrates like sweet potatoes, and fruit like apples, bananas, mangos, etc. I also do recommend working with a qualified professional so you can assess what affects you negatively, and what doesn’t. Hope that helps! Super easy. Just cover in warm filtered water in the morning. Add about a tbsp of apple cider vinegar. And cover. Rinse and cook when you come home in the evening! That’s it! how long do you recommend letting the rice soak? 7-8 hours is good enough.